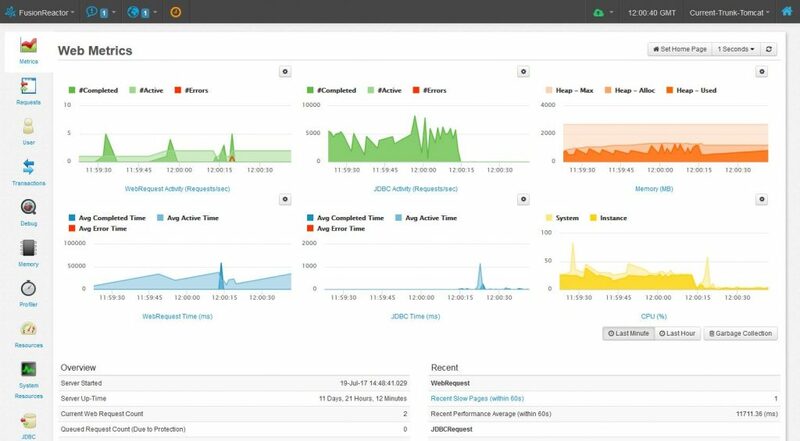 FusionReactor features server Monitoring Tools which includes high-level instrumentation combined with low-level profiling and debugging and can be used right across the whole Software Development Life Cycle (SDLC). FusionReactor gives developers and DevOps the level of depth and insight to instantly identify Java application issues. FusionReactor will cut issue isolation time down from days to minutes, and is the only Java Server Monitoring tools Solution for Development, Test and Production. FusionReactor is breaking the mold of traditional APM tools and will enable you to keep your production systems online longer and with better results.